MA Sports Leagues loves to give back to the community whenever possible. Here are some events we have done for charity or donated to! We are not able to list all, as we do respect our customers confidentiality. If you have a charity event you would like us to be a part of please contact us! The children's burn camp is a safe, natural outdoor environment for kids ages 8-18 from around the world who have survived life altering burn injuries. We encourage comardarie couples with physical and social activities to develop their self-worth. Activities are designed to help campers overcome anxieties, develop and enhance their physical skills and allow them to move beyond their scarring and burn injuries. 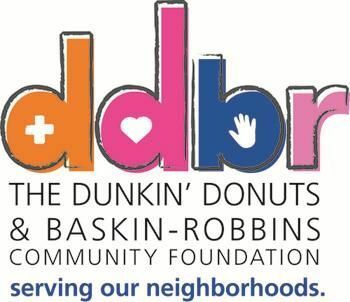 The Dunkin’ Donuts & Baskin-Robbins Community Foundation (DDBRCF) has been helping to ensure the basic needs of our communities since 2006. The DDBRCF’s mission is to serve our neighborhoods through hunger relief, children’s health and safety initiatives. Through the generosity of our franchisees, employees, vendors and guests, The DDBRCF raises funds to support nonprofit organizations making a difference in communities across the United States. Since its founding, The DDBRCF has awarded $8 million in grants to local charities. Bridal Wars is hitting the road! Grab your girlfriends and meet us on the field! Bridal Wars is a team competition event touring the country! Teams compete in our one-of-a kind challenges, win great prizes and have a blast doing it! We give out some serious prizes (cash, trips and gifts galore!) The challenges are a little bit physical (you might break a sweat!! ), part hilarious (you’ll die laughing at your friends!!) and a whole lot of fun!! Are you ready?